CARLSBAD, CA (February 2019) – Getting ready for some beach fun! prAna kicks off the swimming season with the “Lava Glow Caribou” print. 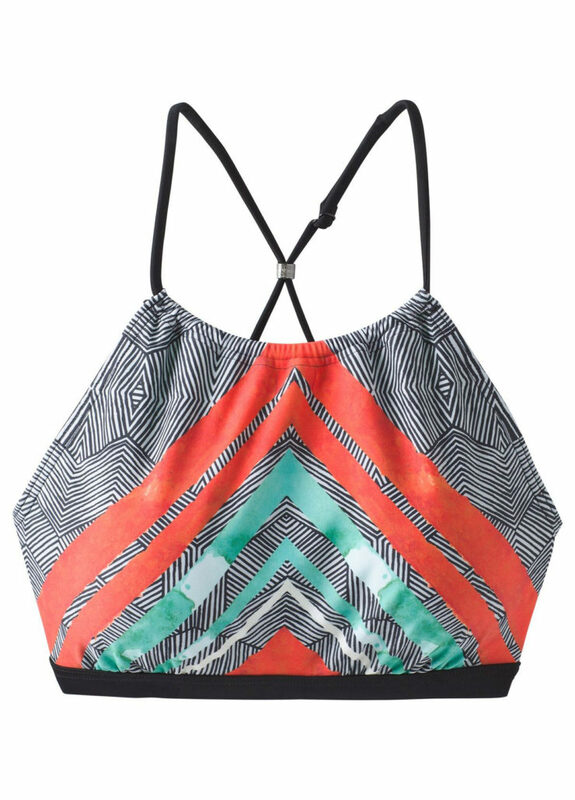 Graphic, modern and feminine – the swim styles featuring the new print are real eye candy. For more mix & match possibilities, the spring collection also offers styles in matching plain colors. 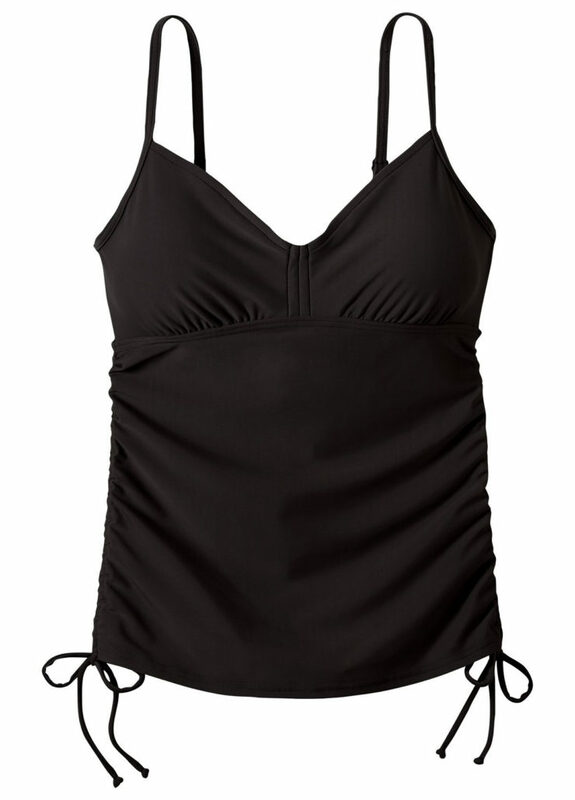 prAna swimwear stands for great fit, athletic performance and a high level of comfort. At the same time, the Californian company is committed to style and always creating new looks with stand-out prints. Spring 2019 starts with “Lava Glow Caribou”. The graphic black and white print with green and red accents is a real head-turner. 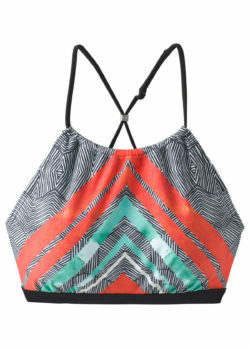 Brina Top, Moorea Tankini or Khari One Piece – the new print is featured on eight sporty and modern prAna silhouettes. For a multitude of combination possibilities and even more variety, the Swim Styles are also available in matching green and red shades or in timeless black. prAna wants women of all body shapes to look beautiful, feel at ease and be able to move freely. For this reason, the design team pays great attention to construction and performance of prAna swimwear. Every single style gets tested to the core. Whether on a surf trip, while snorkeling, or during a beach volleyball tournament – secure fit, UV protection, and outstanding comfort are a must!